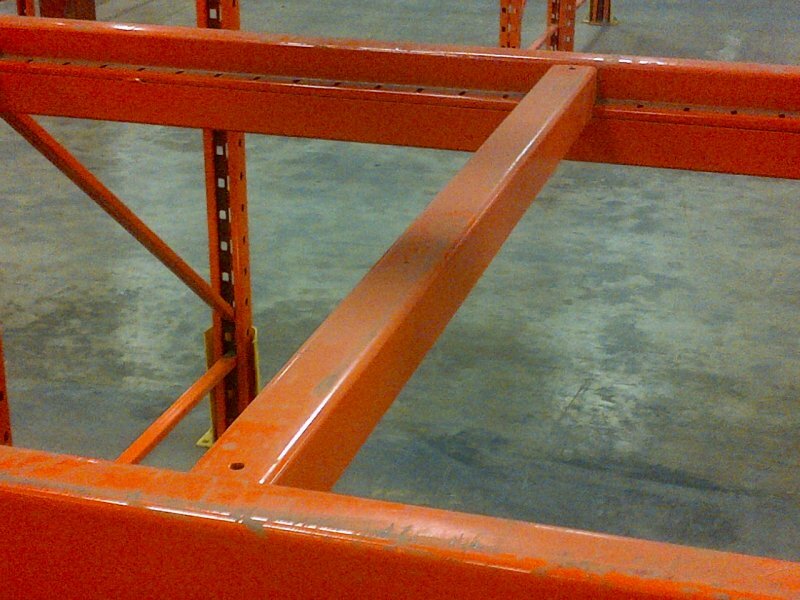 We have many pallet bar size options and thousands of these safety bars in stock, each brand uses it's own pallet bars so please be sure to check the make of your racking (see of pallet rack guide) and take exact measurements before inquiring. We have clip in style, cup style and universal pallet bars. Clip in bars are for step beams only. Cup style pallet bars are for box beams. Cup and Clip-In styles are usually very specific to brand. Universal should fit on most brands and beam types. Pallet bars starting at $5 each - $4 each for 100 or more.